These slippers for men are extremely soft with memory foam that will keep your feet comfortable inside. Terry Fleece lining keep the feet warm and comfy. The sole is strong enough that makes it a great choice for both indoor and outdoor. 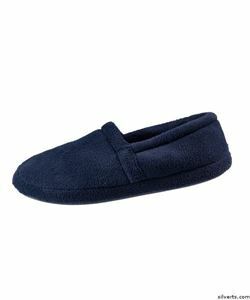 These make for perfect house slippers that are soft, cosy and slip resistant with fleece lining and memory foam insole. At a great price, these comfortable and cosy slippers are a perfect gift for men. S 7 to 8 accommodates up to 10" 10 1/4"
M 9 to 10 accommodates up to 10" 11"
L 11 to 12 accommodates up to 10 1/4" 11 1/2"
XL 13 to 14 accommodates up to 10 1/2" 11 3/4"